Innovation grows out of creative vision, and there’s no better place to find that than in the Wheaton area of Montgomery County, Maryland. 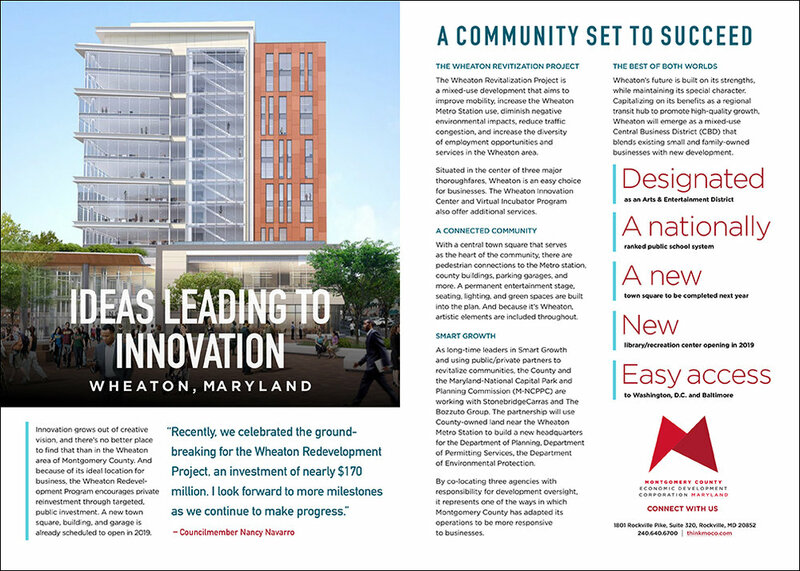 And because of its ideal location for business, the Wheaton Redevelopment Program (WRP) encourages private reinvestment through targeted, complementary public investment. A new town square, building, and garage is already scheduled to open in 2019. The Wheaton Revitalization Project will provide a government office building, underground parking garage, and a town square as part of the Revitalization Strategy for the region. The mixed-use development aims to improve mobility, increase the Wheaton Metro Station use, diminish negative environmental impacts, reduce traffic congestion, and increase the diversity of employment opportunities and services in the Wheaton area. Situated in the center of three major thoroughfares, Wheaton is an easy choice for businesses. The Wheaton Revitalization Project is scheduled to open its first building and new town square in 2019. The Wheaton Innovation Center and Virtual Incubator Program also offer additional services. With a central town square that serves as the heart of the community, there are pedestrian connections to the Metro station, county buildings, parking garages, and more. A permanent entertainment stage, seating, lighting, and green spaces are built into the plan. And because it’s Wheaton, artistic elements are included throughout. As long-time leaders in Smart Growth and using public/private partners to revitalize communities, the County and the Maryland-National Capital Park and Planning Commission (M-NCPPC) are working with StonebridgeCarras and The Bozzuto Group. The partnership will use County-owned land near the Wheaton Metro Station to build a new headquarters for the Department of Planning, Department of Permitting Services, the Department of Environmental Protection. By co-locating three agencies with responsibility for development oversight, it represents one of the ways in which Montgomery County has adapted its operations to be more responsive to businesses. Recently, we celebrated the groundbreaking for the Wheaton Redevelopment Project, an investment of nearly $170 million. I look forward to more milestones as we continue to make progress. Wheaton's time is now! 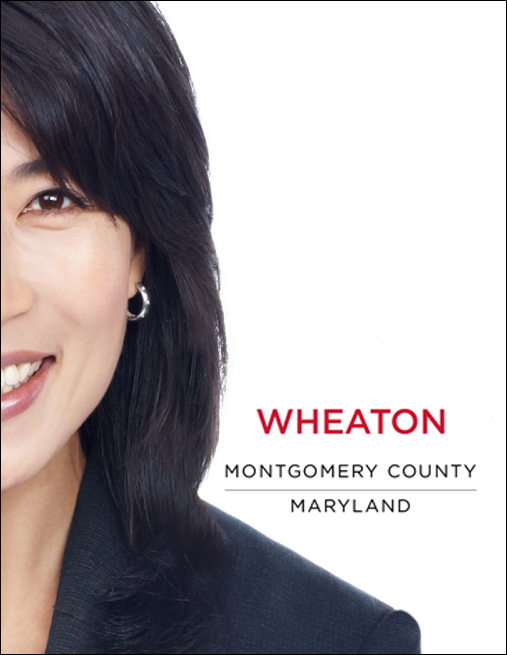 Wheaton’s future is built on its strengths, while maintaining its special character. Capitalizing on its benefits as a regional transit hub to promote high-quality growth, Wheaton will emerge as a mixed-use Central Business District (CBD) that blends existing small and family-owned businesses with new development. Through our partnership with LoopNet, you can search listings to find the best possible space for your Wheaton business. Simply replace Montgomery County, MD with Wheaton in the search bar and hit the magnifying glass icon. You can also check out the Maryland Department of Commerce's Incubator tool or look for shared offices. Explore these options and let us help you select the right one for you. In the center of an exciting revitalization, Wheaton is a great location for your business to grow.